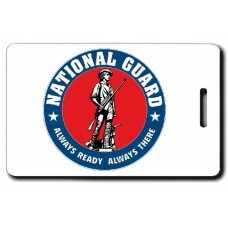 As a direct descendent of the militias of the original 13 colonies, the National Guard is the oldest component of the United States Military. With units dating all the way back to 1636, the National Guard has fought in every American War, from the 1600's to the present day conflicts in Iraq and Afghanistan. And that's something that not a lot of people realize. 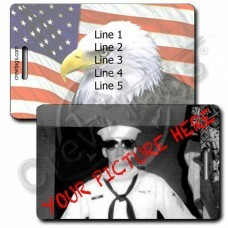 As a Guardsman you are a part of one of the richest heritages in the United States Military. 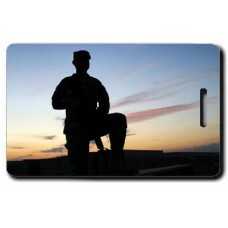 Display these luggage tags proudly, wherever your travels may take you. 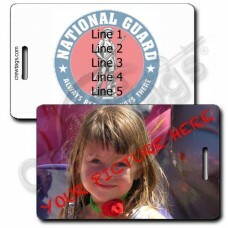 Grab these Seal of the United States National Guard Luggage Tags to show support for your favorite S..